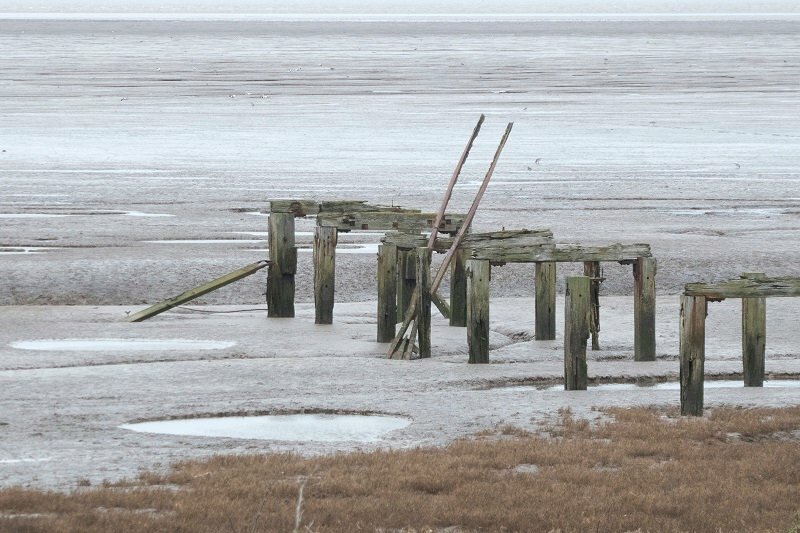 The old jetty at Snettisham on a forlorn and bitter winter day. I struggled with photography this week, not remotely inspired by anything in the local environment. Possibly the distractions of medical matters, combined with dark winter days. Whatever the excuse - I'm back to last week ends shots to fill in the gap for this day. Nice composition the way you’ve brought the old jetty in from the lower right corner. Tones are effective as well. Really like the muted colours. The woods leaning on the jetty look a little like fishing rods. Lovely composition, it has seen better days. Oh dear, poor old thing! Love bleakness and of course b&w! This is lovely, the soft pale colours are beautiful. Great shot. Lovely focus and details. I know how you feel- I've been off healthwise for so long that even though I'm now feeling a little better, I still find myself digging into the archives! Good shot with a nice leading line.